Hi Sue - just fabulous - love it!! Fabulous, adorable image and brilliant work with the stitching on the ball. Thanks so much for playing along with us at HM&F. This is really cute, Sue! I love that image and how you colored it. Also the love how you printed off the music and distress it! Our Creative Corner is having a stars and stripes challenge, this would fit right in there for it too! What a beautiful card Sue,i love the image and papers. So cute! love the sheet music with it! 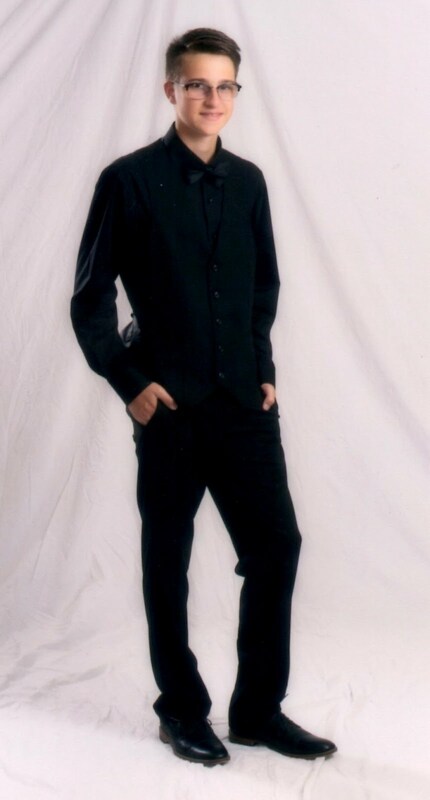 Sue, this is just perfection. You've done a fab job, as always -- and a great tip for downloading music, I've always wondered what would be considered "safe" insofar as sheet music is concerned, to use in our crafting. You've chosen a great song to use for this challenge and did your usual detail in everything, including "enhancing" the music. Everything about this card is perfect...and it fits so well with the challenge! 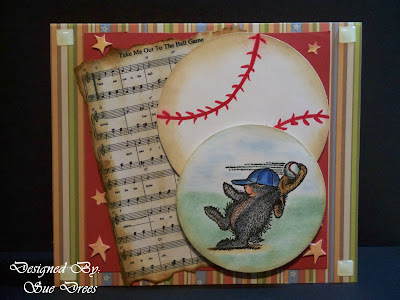 Ohhh, that is a fabulous idea with printing off the music sheet, and I just love what you decided on for the HM challenge, you've coloured wonderfully, and enhanced that baseball perfectly. Great choice of papers for a male card.